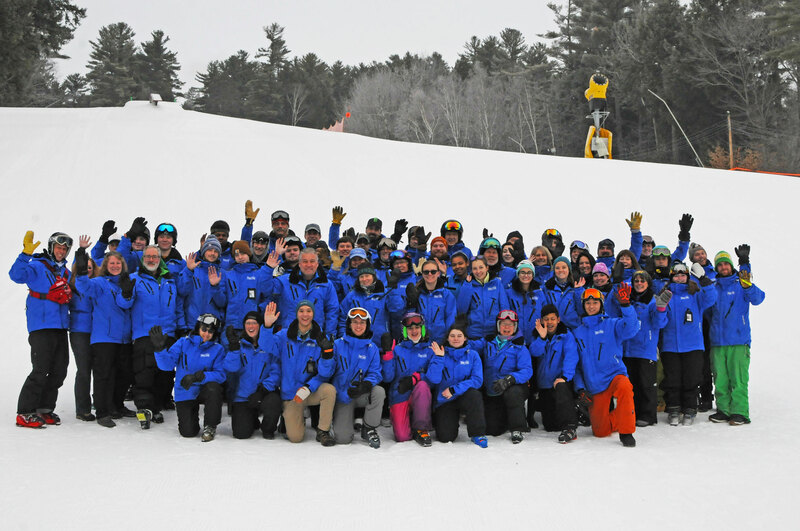 East Madison, N.H. (January 24, 2017) — Approximately 20 ski instructors will be at King Pine Ski Area this weekend seeking their Alpine Level 1 certification from the Professional Ski Instructors of America (PSIA). Examiners from the Eastern Division of PSIA will spend two days evaluating the candidates against national certification standards for ski teaching. According to the PSIA-AASI (American Association of Snowboard Instructors) website, certification standards provide a consistent training framework for instructors and represent a standard of competency for ski teaching across the United States that is transferrable from division to division. No matter where you live, once an instructor is certified by PSIA or AASI, they’ll teach from the same platform and to the same standards as PSIA-AASI members from across the country.